Featuring travel desk to help the guests explore Gangtok located near M G Road is the Hotel Silver Fir. Step in to any 10 room across the two floor, each room is equippedwith modern amenities like premium TV, makeup mirror, wake up calls, toothbrushon request, wardrobe, bottled drinking water and attached bathroom. 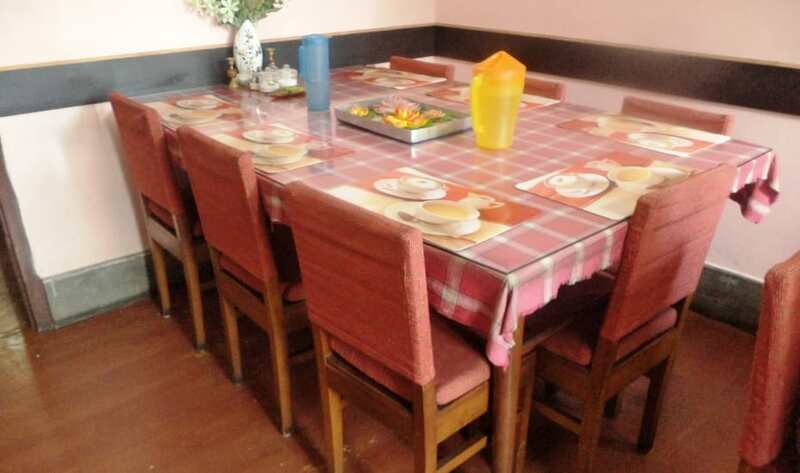 Dining option like the in house restaurant serves hot piping food tothe guests. Newspaper for avid readers is available in the lobby area. To helpthe guests efficiently front desk staff is available for 24 hour. Parking, Laundry Facilities, Baggage Storage on Request, Airport Transportation, Family/Child Friendly, Security Guard, Breakfast Services, Room Service, Backup Generator, Currency Exchange. Air Conditioning Room, Toothbrush/Razor on Request, Iron/Ironing Board, DVD Player, Television Room, H/C Water, Attached Bathroom, Cable/Satellite TV, Bottled Water in Room, House Keeping. User reviews for "Silver Fir Hotel Gangtok"